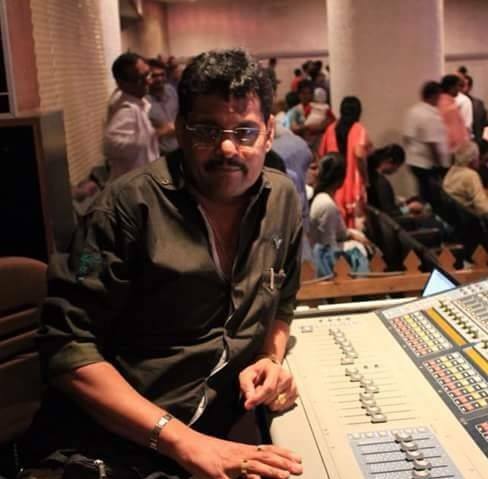 Mumbai-based Sudarshan Audio, a rental company, recently invested in JBL Vertec to deliver quality live sound reinforcement solutions to some of the biggest local events. Established in 1960’s, the company is one of the oldest professional audio rental companies in the country. The recent acquisition included 12 units of the JBL Vertec VT4888- a mid-sized tri-amplified three-way line array element, 8 units of the VT4880-a full-size array-able dual 18” subwoofers along with accessory kits for transporting and covering the speakers and 4 units each of - Crown I-Tech 3500 HD and Crown I-Tech 12000HD series amplifiers to power the loudspeakers and subs. The entire system was purchased from Mumbai based Dev Electronics, a comprehensive technical solutions provider and a leading distributors of Harman Professional products in the country. JBL’s latest generation of high-powered and lightweight Differential Drive transducers, coupled with proven line array technology, is the core of VerTec systems and it caters to the rental sound industry’s demand for reduced system size and complexity while simultaneously delivering highly advanced performance. Its rugged and integral array suspension hardware ensures fast, reliable setups and takedowns. For maximum inventory flexibility, the Midsize Models VT4882 and VT4888 are pre-engineered to accept the JBL Drivepack electronic modules with robust Crown amplification and dbx digital signal processing, making this family of line array elements truly ready to meet whatever system format the clients demand. Titu Kulkarni spoke about the reasons that prompted him to make this purchase and shared, “Everybody knows that the Vertec is an industry standard throughout the world and that it is without a doubt one of the most rider friendly and artist-preferred systems you would find anywhere. Not only is the system extremely powerful, efficient and easy to use and work with, but also when combined with the amazing V5 presets and the industry leading Crown I-Tech HD amplification, the system becomes quite unbeatable in many ways. Plus with the added advantage of having the necessary support we needed from both Harman as a parent brand, as well as Dev Electronics as their key distributor, we absolutely knew that this would be the perfect solution for us, especially to handle larger scale shows”. “Doing business with Dev Electronics has been an absolute pleasure. The sales process was super smooth and the support we received from them was amazing. Mr. Dilip Devjani has always been supportive and I would like to thank him and his entire team for the role they have played in helping us add the JBL Vertec system to our inventory. All in all, we must say that we never imagined buying equipment would be such a pleasant and hassle-free affair and nothing but praise and thanks to the teams at Dev Electronics,” he added. “We deployed the Vertec system on the field as soon as it came in. It had a great impact and the sound experience was amazing. The first time we used the system was at the grand-launch of a popular jewelry brand in Thane, and without a doubt the event turned out to be awesome. With Ketan Shetty of Dev Electronics present at the show to provide key on-site support, everybody at the event witnessed awesome quality sound, and our clients absolutely loved the way the entire show turned out. Alka Yagnik, performed at the event along with her live band, was also impressed with the sound and her engineer personally thanked us for it. We have received similar kind of feedback from almost every client that we have worked with ever since and having such an amazing feedback make us happy and reinforces our decision to purchase the JBL Vertec system,” said Titu.